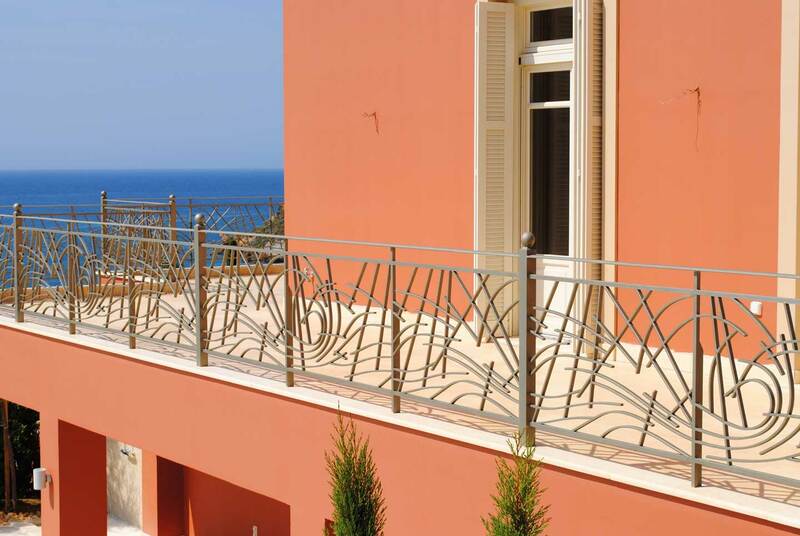 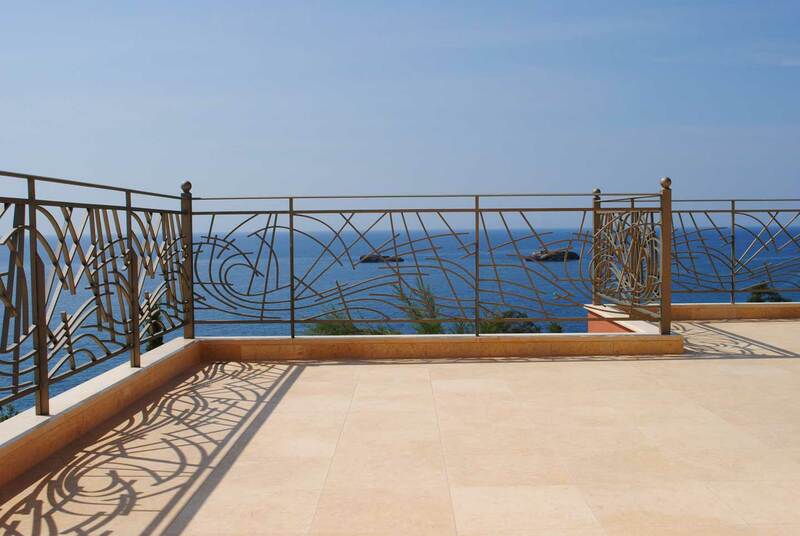 These metal railings are an element of the overall landscape design for this exquisite villa in Ai Helis, Kefalonia. 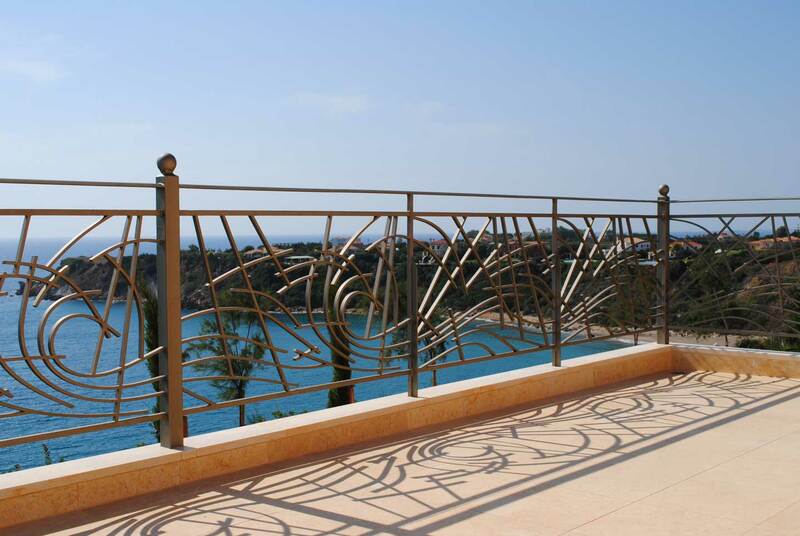 They are inspired from the Ionian sea, its peaceful moments as well as its turbulent ones. 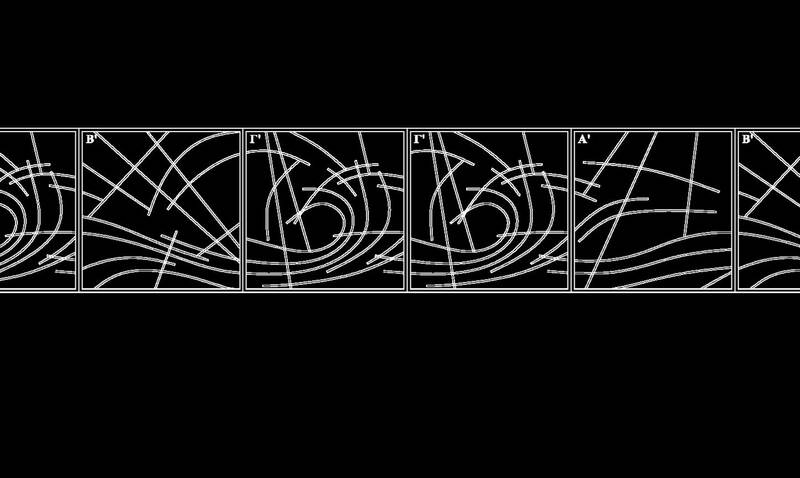 This triad of motifs is reproduced, in a variety of sequences, producing a light and trans parent effect.